Jules Mountain is a survivor. The odds of surviving his type of cancer were one in five. The odds of dying on Everest are one in 60, but these are severely shortened when factoring in an avalanche triggered by the 2015 Nepal earthquake. Jules lived to tell both tales, which he does in a way that conveys the agony and euphoria that extreme adventurers face, even when things go according to plan. 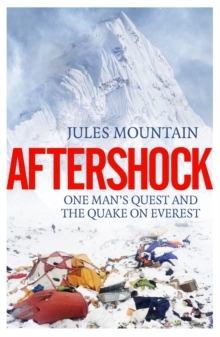 And yet this is not merely an account of what happened in the aftermath of the most deadly disaster ever on the world's most iconic mountain. It is an exploration--internal as well as physical--of how logic, compassion and risk assessment are affected by altitude, vested interests and the stress of extreme circumstances.